Pat Steir’s works are meditations on nature, time and the nature of art. Adopting the technique of earlier Chinese landscape painting, Steir flings pots of paint at the canvas so that the paint pours down in the same manner as water. This gestural technique is also seen by the artist as a kind of “dialogue” with the New York Abstract Expressionists such as Jackson Pollock. ‘Waterfall Mirage’ is painted on scrim, a transparent medium made of loosely woven linen, which becomes invisible from a distance, giving the impression of a waterfall between trees. The fabric thus facilitates Steir’s aim of a fusion between art and nature. She says: “The scrim is transparent. The existing light constantly changed the painting, and the paintings also added light to the existing light […] I have a beautiful grove of trees in my backyard. These scrims came out of just looking at what happens to light when it’s trapped between two verticals”. 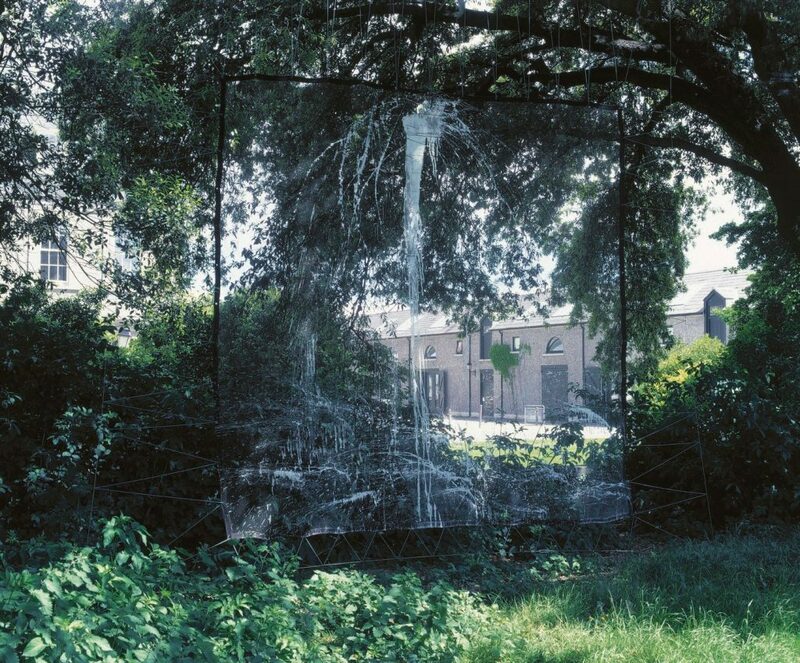 * ‘Waterfall Mirage’ was originally shown as an outdoor work in the grounds of the Irish Museum of Modern Art as part of the exhibition ‘From Beyond the Pale’. *Quotation from a conversation with Pat Steir, September 15, 1992 by Brooks Adams, Published by the Robert Millery Gallery, New York, 1992.